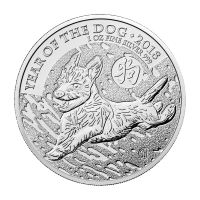 Purchase a ¼ oz 1988 Chinese panda gold coin at a low price from our online store and possibly qualify for free secure delivery with our trusted delivery choices. .999 panda gold coins were first minted by the People’s Republic of China in 1983. Jede Münze hat ihre eigene, einzigartige Rückseitengestaltung, die spezifisch für dieses Jahr ist, was den Sammlerwert erhöht. 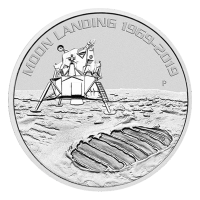 This year’s reverse depicts a panda clutching bamboo in a traditional Chinese scene. The obverse side shows the Hall of Prayer for Abundant Harvests in the Temple of Heaven in Beijing with “People's Republic of China" in Chinese characters. Coins featuring a ‘P’ mint mark are proof coins. 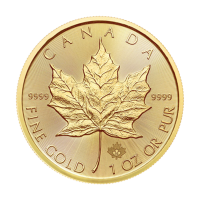 Hold your savings in your own hands by ordering a ¼ oz 1988 panda gold coin today. Rückseite Panda, der nach Bambus greift. Panda, der nach Bambus greift. 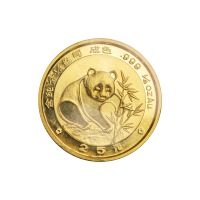 1/4 oz Goldmünze chinesischer Panda 1988 Purchase a ¼ oz 1988 Chinese panda gold coin at a low price from our online store and possibly qualify for free secure delivery with our trusted delivery choices. .999 panda gold coins were first minted by the People’s Republic of China in 1983. Jede Münze hat ihre eigene, einzigartige Rückseitengestaltung, die spezifisch für dieses Jahr ist, was den Sammlerwert erhöht. This year’s reverse depicts a panda clutching bamboo in a traditional Chinese scene. The obverse side shows the Hall of Prayer for Abundant Harvests in the Temple of Heaven in Beijing with “People's Republic of China" in Chinese characters. 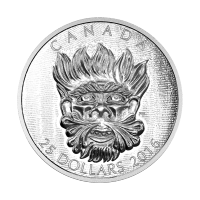 Coins featuring a ‘P’ mint mark are proof coins. 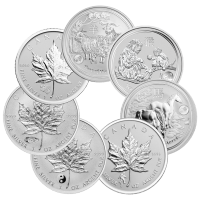 Hold your savings in your own hands by ordering a ¼ oz 1988 panda gold coin today.